Scholle oder Schorle, was macht das schon? 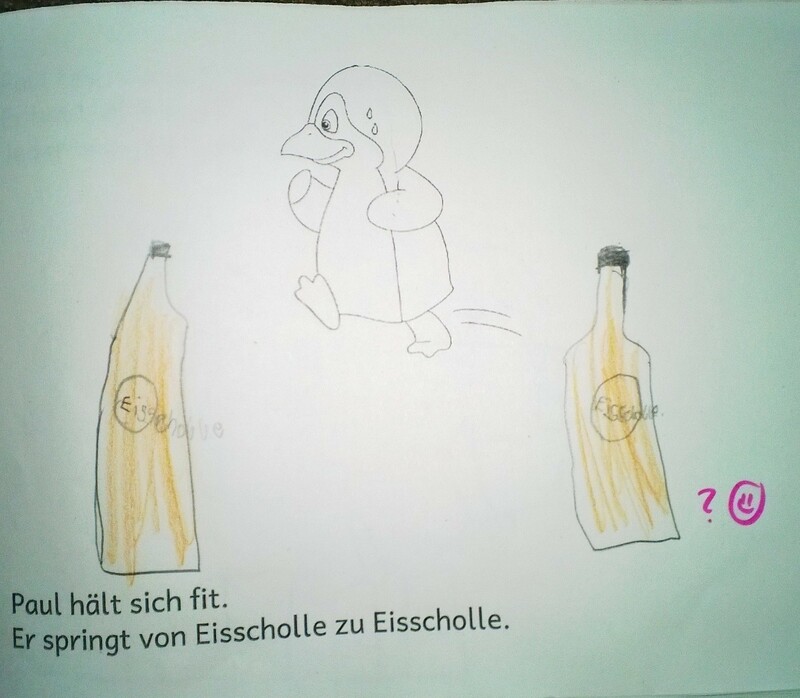 Mia hat in der Schule eine Bildergeschichte bekommen, die sie um das im Text stehende vervollständigen sollte. This entry was posted on Mittwoch, April 16th, 2014 at 14:34 and is filed under Kindermund. You can follow any responses to this entry through the RSS 2.0 feed. You can leave a response, or trackback from your own site.